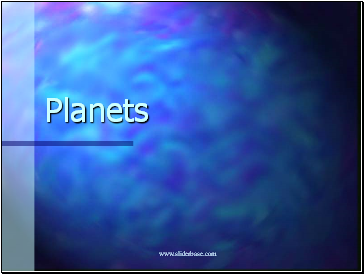 Planets are the large celestial bodies which revolve around the sun in closed elliptical paths called orbits. 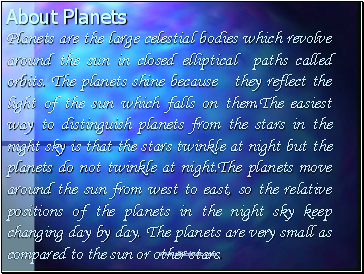 The planets shine because they reflect the light of the sun which falls on them.The easiest way to distinguish planets from the stars in the night sky is that the stars twinkle at night but the planets do not twinkle at night.The planets move around the sun from west to east, so the relative positions of the planets in the night sky keep changing day by day. 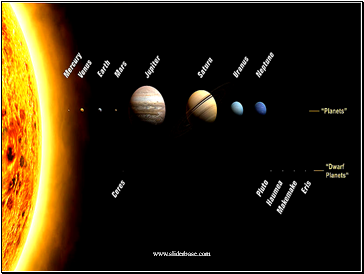 The planets are very small as compared to the sun or other stars. 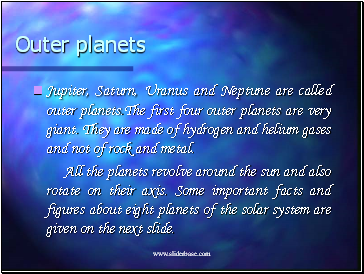 Jupiter, Saturn, Uranus and Neptune are called outer planets.The first four outer planets are very giant. 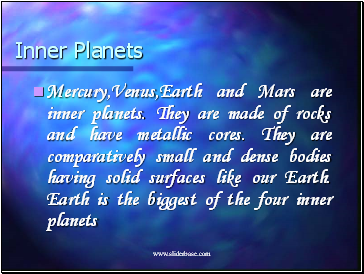 They are made of hydrogen and helium gases and not of rock and metal. 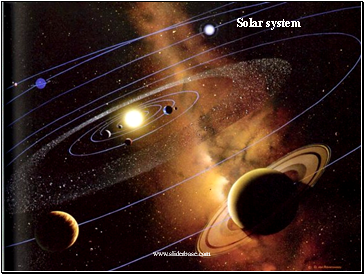 All the planets revolve around the sun and also rotate on their axis. 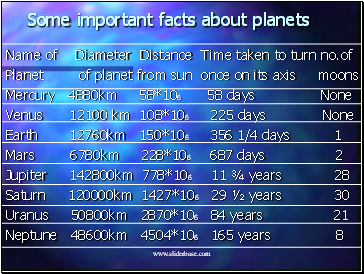 Some important facts and figures about eight planets of the solar system are given on the next slide. 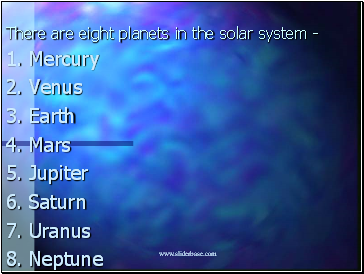 Mercury is the first planet from the earth.During day time the surface of the mercury heats up to 430° but during night the temperature falls up to -180° c due to lack of atmosphere. Mercury has a rocky surface which is covered with craters.Mercury is sometimes visible from earth,just after sunrise or sunset. 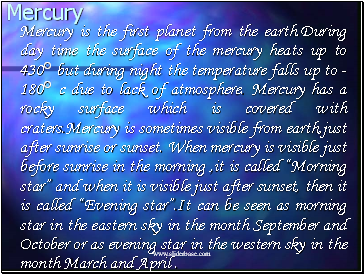 When mercury is visible just before sunrise in the morning ,it is called “Morning star” and when it is visible just after sunset, then it is called “Evening star”.It can be seen as morning star in the eastern sky in the month September and October or as evening star in the western sky in the month March and April . The rotation of the earth causes Day and Night.